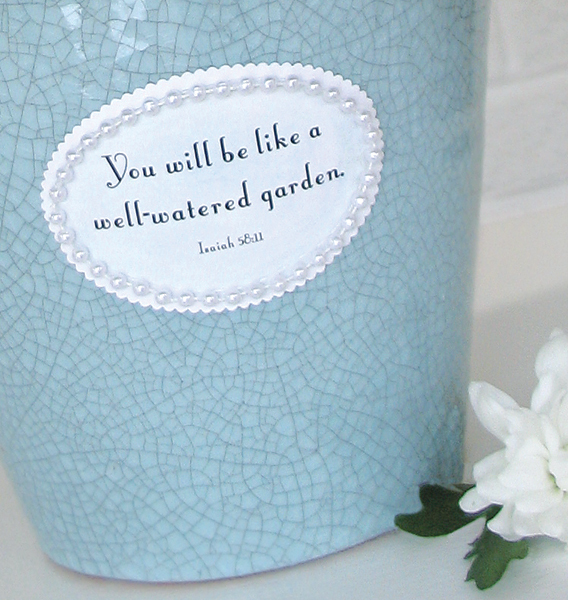 Add an encouraging word to a little potted flowering plant to gift to someone who's in the hospital or home ill. You can hand write or paint a favorite phrase or scripture. But this shows you even black and white can make a simple statement. Depending on your style, this would be cute all glittered up or even give your child a small oval to draw or write something on. Have a great week! Beautiful way to bless someone. I love this! Several years ago, my sister gave plants to some coworkers, and she had me write a verse in permanent calligraphy marker on the pots. 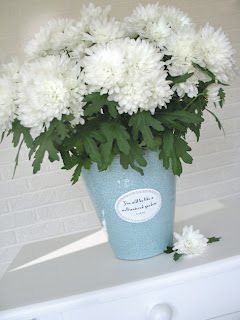 Stopped by from SITS today and looking forward to exploring your blog.